SPECIAL ANNOUNCEMENT! My latest updates to the First Ladies' Tea Party and Presidential Reunion paintings are now available as prints and notecards. The images are below. More detail is in the Gallery Page (Historic). The prints are in two sizes, 12x16 and 16x20, matted, for $52 and $70. The greeting cards (box of six with envelopes) are still $8/box. Please browse this website to view a sampling of my art or visit an art show to see my detailed art in person! Call to order- 703-860-8527, 703-627-9182 (cell) or email: pawinee.mcentire@gmail.com. All images on this web site are copyrighted by Pawinee McEntire. Pawinee has over 40 years of working with oils, and paints a wide variety of content; for adults and children alike. 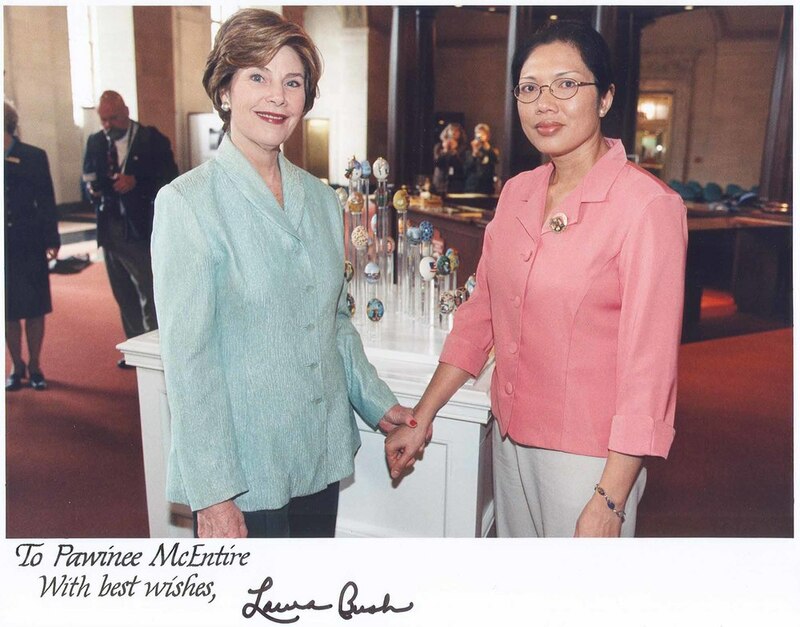 This one is called Abram's Delight, in Winchester, Va.
Pawinee was chosen to paint the DC Easter Egg for the White House Museum and had the opportunity to pose with the sitting First Lady. This is one of many accolades throughout her painting career. The soon to be opened Freehill Studio is located in Winchester, a beautiful historic town nestled in the Shenandoah Valley.